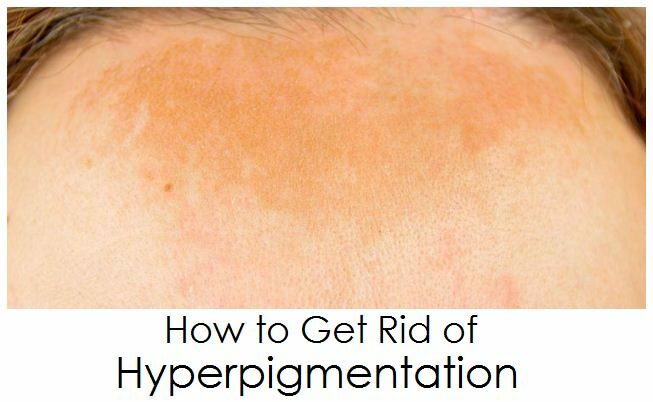 Hyperpigmentation is referred to as the uneven skin color or the changes of skin color like dark brown patches. The cause of changes in color is due to the increasing production of melanin. It can occur on any part of the body but mostly it seems on the face, neck, hands, arms and legs. The melanin production becomes excessive when there is the internal problem within your body such as changes in hormones, pregnancy and certain other health issues. On the other hand, the external factors that depend upon the condition are exposure to sun, burning sensation, skin injury and emotional stress. 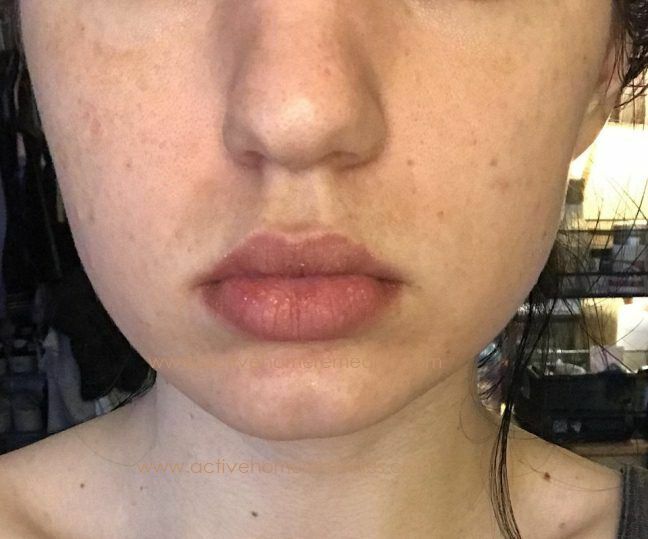 All of these factors are highly commended to hyperpigmentation. Lemon is the citrus fruit which works as a bleaching agent for the skin and thus treats the hyperpigmentation. Lemon can be very helpful in reducing the blemishes on your skin. Extract the fresh lemon juice and rub it on your skin with the help of a cotton ball. Leave for 15 minutes then wash it off with water. Follow the remedy two times daily for few months. Alternatively, you can prepare a facial mask by mixing the equal amounts of lemon juice and raw honey. After mixing both the ingredients then apply it to the affected skin. Cover your skin with 15 minutes then rinse with lukewarm water. Do it once daily for a week. Note: if you have sensitive skin, add a little quantity of water in the lemon juice to make it dilute enough for your skin. Raw potato helps in lighten the hyperpigmentation of the skin and blemishes as well. Catecholase is an enzyme present in the potatoes that is believed to normalize the skin tone. Take one potato and peel it off then cut it into thick slices. Put few drops of water on the potato slice then rub it on your skin for about 10 minutes. Rinse it off with lukewarm water. Do this remedy for four times a day for a month. Another thing you can do is just grate one medium-sized potato and squeeze the juice from it. Now add equal amounts of lemon juice and squeezed potato juice then apply the solution onto the affected area and leave for 20 minutes. Wash it off and do this two times daily for a month. Apple cider vinegar is the best ingredient for your skin problems as it helps in reducing the dark patches due to the hyperpigmentation. It has lightening and astringent properties that will be helpful in getting the natural color back. Mix apple cider vinegar along with the water in equal amounts. Use this mixture to wash the pigmented areas and leave for three minutes. After three minutes, wash with lukewarm water. Follow the remedy two times a day for few weeks. Optionally, you can add two tsp of apple cider vinegar in a half glass of warm water. Mix in one tsp of honey and drink this solution two times a day, morning and night. Do this remedy for a couple of weeks. Vitamin E is very important for your skin treatment such as for hyperpigmentation. Vitamin E is an antioxidant that neutralizes the effects of harmful ultraviolet sun rays and protects the skin. Take three vitamin E capsules and rupture them into the bowl. Now add about four drops of castor oil then mix them well together. Apply this mixture on the pigmented area before going to bed. Rinse it off the next morning and do the remedy daily. Prepare your own mask using one-half cup of Fuller’s earth, one tbsp. of blended papaya and two vitamin E capsules. Mix all together in order to make a thick paste. Apply the paste on the skin and leave for 20 minutes. Wash it off with lukewarm water. Turmeric also contains bleaching properties that helps in reducing the hyperpigmentation of the skin. Turmeric stops the infection from spreading. Take one tsp of turmeric powder and one tsp of lemon juice. Mix them both together and apply on the affected area. Allow it to sit for at least 20 minutes then rinse it off with cold water. Do this daily. Another option is to make a paste by mixing five tbsp. of turmeric powder with 10 tbsp of milk. Apply this paste on the affected skin and massage for five minutes. After 20 minutes, wash it off with warm water. Aloe vera wonders on the hyperpigmented skin as it is rich in mucilaginous polysaccharides. It helps in removing the dead skin cells and promotes the growth of new cells. Apply fresh aloe vera gel directly on the pigmented skin but make sure you do the step before going to bed. Leave it overnight and rinse off in the morning. Follow the remedy daily for few weeks. Mix two tbsp. of aloe vera gel and one-half tbsp. of raw honey. Allow the mixture to sit for 10 minutes. Apply it on the affected areas and let it dry on its own. Wash with lukewarm water after 20 minutes. Follow the remedy once daily for two weeks. Whenever you eat orange, keep the peels aside as it is very good for the purpose of your skin problems to be settled down. It contains citric acid and has bleaching properties due to which it helps in getting rid of the hyperpigmentation. Prepare a mixture of one tsp of lemon juice, one tsp of milk, one tsp of honey and one tbsp. of dried orange peel powder. You will have a smooth consistency of the mixture. Apply this paste on the affected skin and leave for 20 minutes. Massage on your skin and finally wash it off with lukewarm water. Follow this treatment for at least four times a week. Avocados are rich in fatty acids, vitamin C and oleic acid. Avocados help in reducing the hyperpigmentation. Take one ripe avocado and mash it like a smooth paste. Apply this paste directly on the affected area and leave it for half an hour. Wash it off with lukewarm water. Do this remedy two times daily for a month or two. Alternatively, mix two tsp of honey and one tsp of milk in ripe mashed avocado to make a smooth paste. Apply the paste on the pigmented areas and allow it to dry naturally. Rinse it off with lukewarm water and do this daily for a month. Sandalwood is like a beauty wood for the skin complexion to make it even. It has cooling effect and improves the blood circulation. All of these properties work towards making the skin natural in color without any blemishes or dark patches. Take two tbsp. of sandalwood powder and mix it with enough amount of rose water to make a thick paste. Apply the thick mask on the affected skin and leave for half an hour. Wash it off with lukewarm water. Follow this remedy for a few weeks. Another thing you can do is just prepare a paste from two tbsp. of sandalwood powder, one tbsp. of turmeric powder and four tbsp of milk. Apply this wonderfully effective mask on the pigmented skin and allow it to dry on its own. Wash it off using lukewarm water. Follow the remedy daily. Almonds are rich in vitamin E so these are good for the skin, especially for the hyperpigmentation. Soak about five almonds overnight. In the next morning, remove the almonds from the water and grind them by adding milk into it. Now it has become like a paste. Add one tsp of honey and few drops of lemon juice in this paste. Now mix well and spread over the affected parts of your skin before going to sleep. Wash it off in the next morning with cold water. Follow this remedy every night for at least two weeks. You can eat almonds on the regular basis for treating the hyperpigmentation.